An ice cream museum sounds like a contradiction in terms—after all, what’s less permanent than ice cream? What are you supposed to exhibit: Scoops? Spoons? But at the traveling Museum Of Ice Cream pop-up, currently in San Francisco, for a frequently sold-out $38 entrance fee, not only can you partake of the classic frozen treat, you can even dive into a pool full of sprinkles. The museum isn’t the only outlet with special flavors like churro, though. Red Circle Ice Cream in Houston, Texas offers “menu items like sugar-sprinkled, fried-dough churros tucked into scoops of ice cream, ice-cream-filled macaroons, warm donut ice cream sandwiches, egg-waffle ice cream cones and the newly-added churro lollipops.” Now, for Memorial Day, Red Circle has added a BBQ flavor, complete with bacon. Red Circle owner Nickey Ngo reports that the shop has only been open nine months and caters to that kind of creativity. For example, recently Red Circle featured a Hot Cheetos ice cream. As a self-described “Houston girl,” she was passionate about the bbq flavor, adding not only bacon, but a “tangy backnote to it, add something extra little bit of a crunch in there,” dubbing it her “secret ingredient.” The flavor debuts to the public tomorrow, but Ngo reports that staff tasters were enthusiastic. She continues, “We have that luxury to be able to experiment. 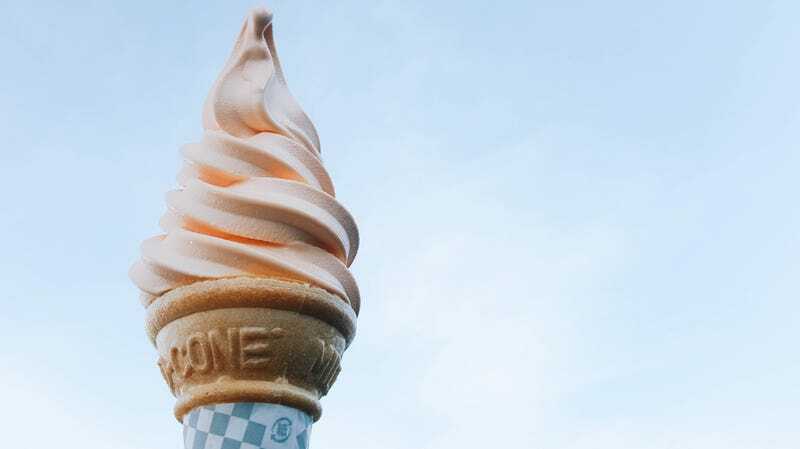 We find that a lot of people want to try new things right now in this market; people are ready to try something different.” Judging from this latest crop of flavors, that certainly appears to be true in the ice cream world.